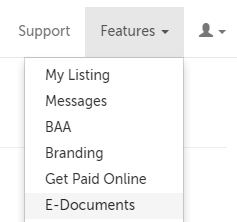 This support article illustrates how to delete an E-Document that you have received. 2. Use the "Delete" button next to the document you want to delete. This article was last reviewed by our Support team on June 30, 2015.